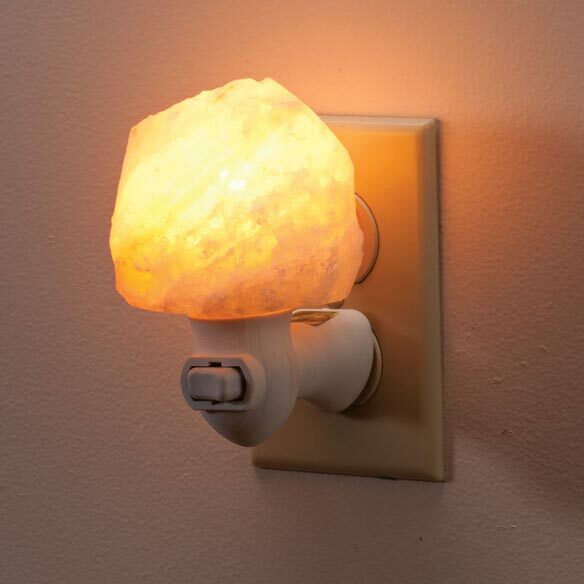 Himalayan salt healthy night light lets you breathe easy and wake up refreshed. Salt light harnesses the natural air-purifying benefits of Himalayan salt, emitting negative ions that bind to and help remove positively charged dust particles. Negative ions also may help control pollen, dust mites, smoke, mold spores and pet dander in the air. As it helps boost serotonin for improved moods and energy, the salt rock lamp's calming amber glow helps you relax. Salt light helps purify the air as it adds a soft glow. 3-prong plug with easy on/off switch swivels 360° to fit any outlet. ETL listed, conforms to UL standard. 120V 60Hz plug uses E12 15W bulb (included). Overall measures 4 1/4”H x 3”Wx3 1/2”D and weigh 15.6 oz. Love salt lamps and the beautiful glow. love the salt light I have a large table based one thought this was cute! To aid in breathing due to allergies. I have a lamp like this, and I like it. I needed a night light and thought it was cute. I have allergies.I have a larger one in my living room it seems to be helping. I will use this one in my bedroom. As a night light for the bathroom, and also to clean the air. need a night light. This is better than I could have asked to find! I use Himalayan salt and I want to see if this works. A beautiful way to light the hallway. I have read so much about the benefits from these lamps I thought I would try them. Can"t wait until my order is shipped to see if it's true. Because I have one in my bedroom. It seems to help me with my allergies. I like the benefits of Himalayan Salts, but didn't want another large object in my home. Interesting. Thought I'd try it. I have a large Salt Light and I love it. I have a salt lamp and love it, so I was excited to see it comes in nightlight form. 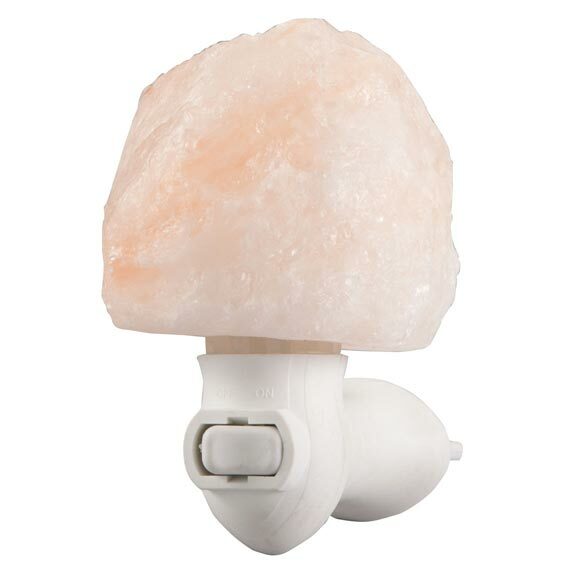 After reading the complete description and comments from other customers who use this Night Light version of the Himalayab Salt light, it seemed only natural to try the smaller versions in hallways and bathrooms, bedrooms, etc. Not only does the illumination help, but the added benefits of dust reduction, serotonin boost, and calming amber glow seemed perfect. Just needed a light in the bathroom. We'll see if there is a difference in the air. Wanted this for my bedroom. I heard it clears the air and helps with sleep. have COPD and thought this might help with night time breathing. Has this been scientifically proven? BEST ANSWER: I have two larger ones in my living room.I bought the night light because I thought it would have the same wonderful glow.I guess I ordered the wrong thing.Whether it has benefits is A subjective thing without A big study.As far as I know,however, negative ions are A positive. Get it?